It was exciting T20 world cup with you on Foortal. We thank you for your participation throughout the tournament. Finally the time has come to announce winners. 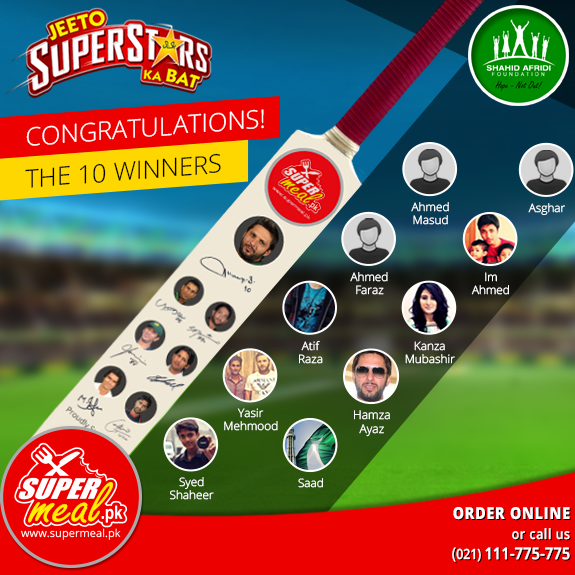 Winners are requested to send mentioned details to support247@foortal.pk with title “T20 Contact Details”. Foortal organized an event as an annual gathering with their partner restaurants, bloggers and consumers at Rangoli which concluded with an exciting segment of “Lucky Draw” where all attendees participated and tried their luck. We are pleased to officially announce the Winners of FBR Meet up 2013.